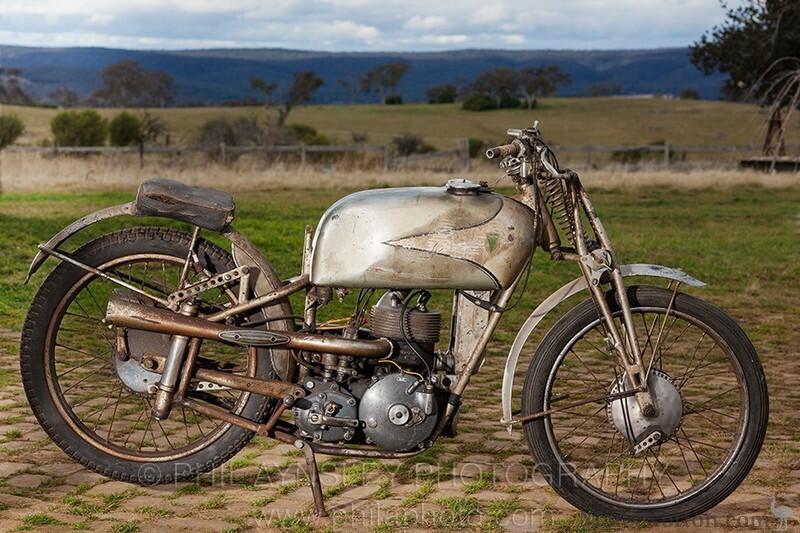 This unrestored 1938 SS 250 customer racer was sent to Australia in 1939 for use by Ewald Kluge, but never raced by him due to the intervention of the war. Bought by the present owner in 1956 for £100, it was raced at the Mt Duritt circuit and Bathurst. While retaining the basic layout of the earlier racers, it has a sprung girder front fork and plunger rear suspension. The two reed valve equipped carburettors are located behind, instead of beside the cylinder block. Dry weight 95kg. Top speed 185kph. Photographed in the Southern Highlands, NSW. 2012.